The Gold Model weighs in at less than 16 kilos and has a built-in carrying handle for portability. The compact design (29"x22"x13") makes it simple to store between practices in the equipment room. or even in the boot of a car. The Gold Model has an attachable extended ball track. 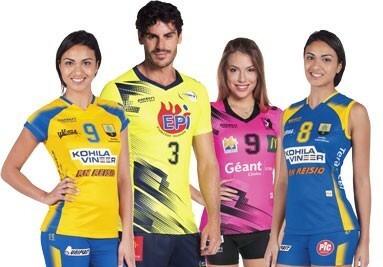 It can automatically feed up to six volleyballs at intervals ranging from five to twenty seconds. This frees a coach or player from being the designated ball feeder. It also makes it possible for players to practice on their own, either at the gym or even at home in the garden. 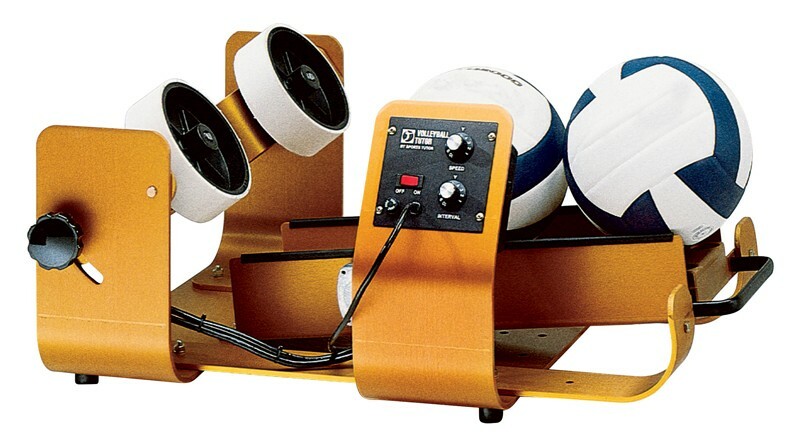 To get totally consistent repetitions we suggest you have a set of six balls dedicated to the machine and its use. 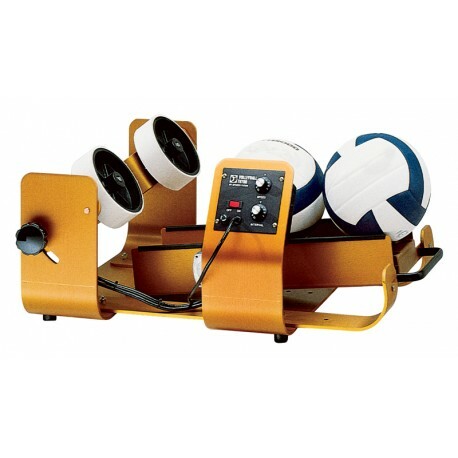 An optional foot-operated remote control is available below which provides control of the ball feed from as far away as 40 feet. This allows a coach to start and stop the ball delivery from almost any position on the court. PLEASE NOTE. The machine is 110V mains and requires a step down transformer supplied with mains model. Battery powered models allow full flexibility and make the machine truly portable. runs for up to 2 hours without recharge. Allow four weeks for delivery from the date of order.